The Missouri Mom: Holiday Greetings from Our House to Yours. Holiday Greetings from Our House to Yours. It is near impossible to believe that we have already hit the end of 2013, while our house is filled with love and chaos, this year was filled with bittersweets. 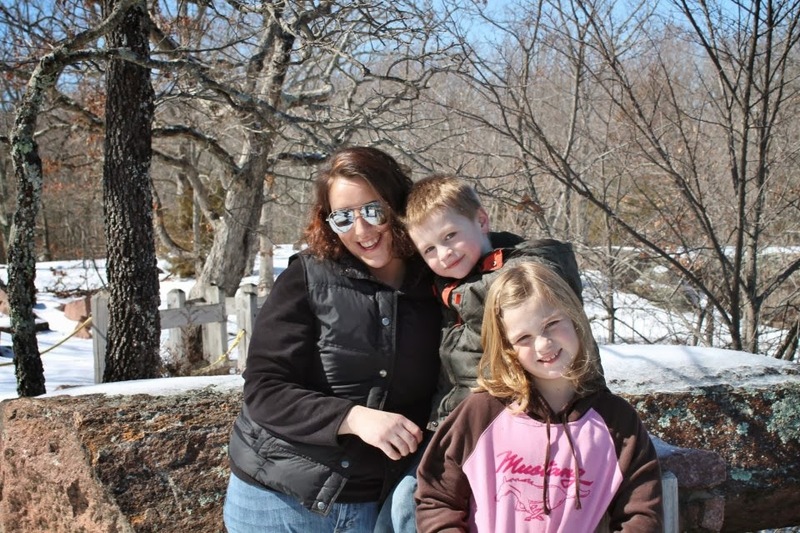 In March of 2013, D-man, Lesse, and I packed up our house and moved back to my roots, we moved home to Bollinger County, Missouri (home of the Missouri Dinosaur). With tears in our eyes as we departed our beloved home, friends, and what had become our extended family, we were ready for a whole new adventure. 2013 has been a year full of new beginnings, new life, and new adventures. Lesse started school at the same school that I once roamed the halls in, as she put it, this place is much "smaller" than I expected. Within days she made new friends, fell in love with the community, and enjoyed riding the school bus every day! 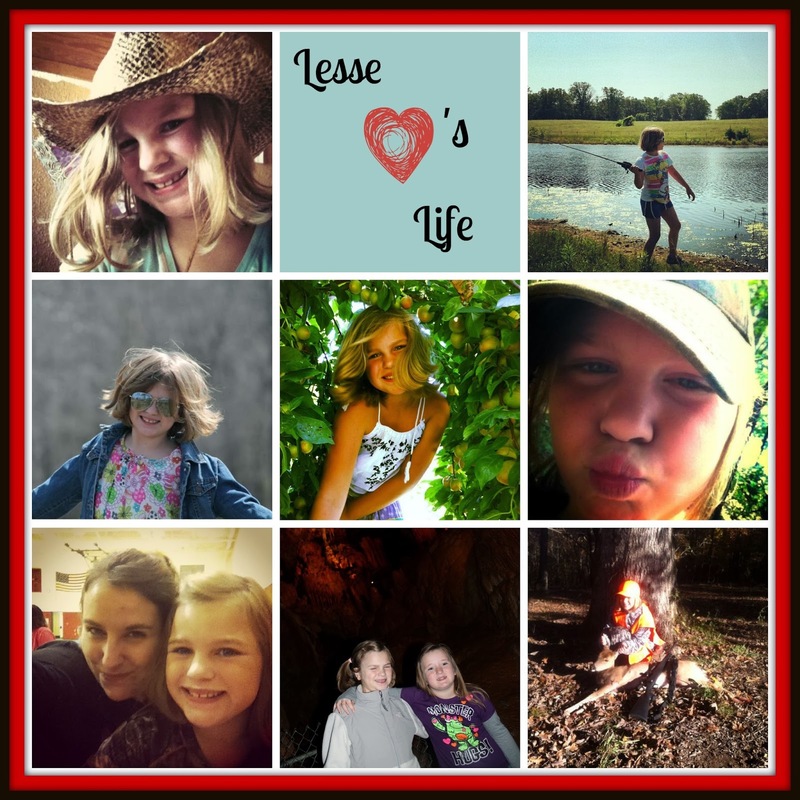 In August, Lesse turned double digits which broke momma's heart all over again, it is hard to believe in 8 years she will be voting....sigh! 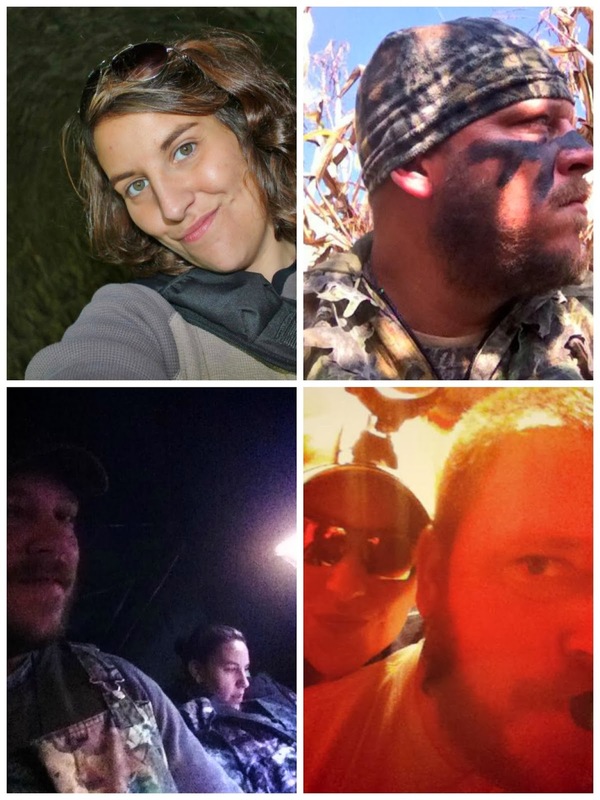 In November, Lesse became one of the newest Missouri hunters and has declared that hunting is her thing. 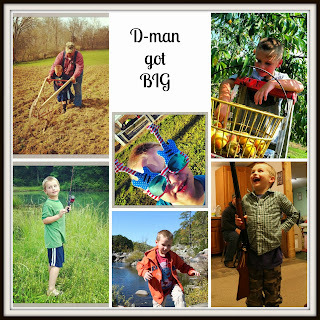 This year D-man has became a farmer, a hunter, and a KINDERGARTNER! My beloved baby boy hopped on the school bus and refused to let momma be sad....I was sad anyways. D-man has taken on a whole new personality, he loves country life, he loves getting dirty, and he loves to be all boy. Just weeks after moving back home, and swearing to my Dad that I would never again love someone else, I ran into David. David and I "sorta" grew up together, he use to haul hay for my Dad, and our families have been long time family friends. Both of our lives have turned out much different than we had ever planned or wished for, but some how we knew God had a plan for us. One April afternoon he asked me if I wanted to go "hunting" with him and his son and from there it has been downhill as my Dad says. With David came 2 more people to love, get to know, and add to the adventure. 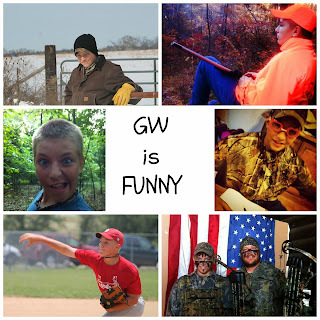 GW just turned 13 a few weeks back and I often laugh that it is harder to learn a 13 year old boy than it is a newborn baby. 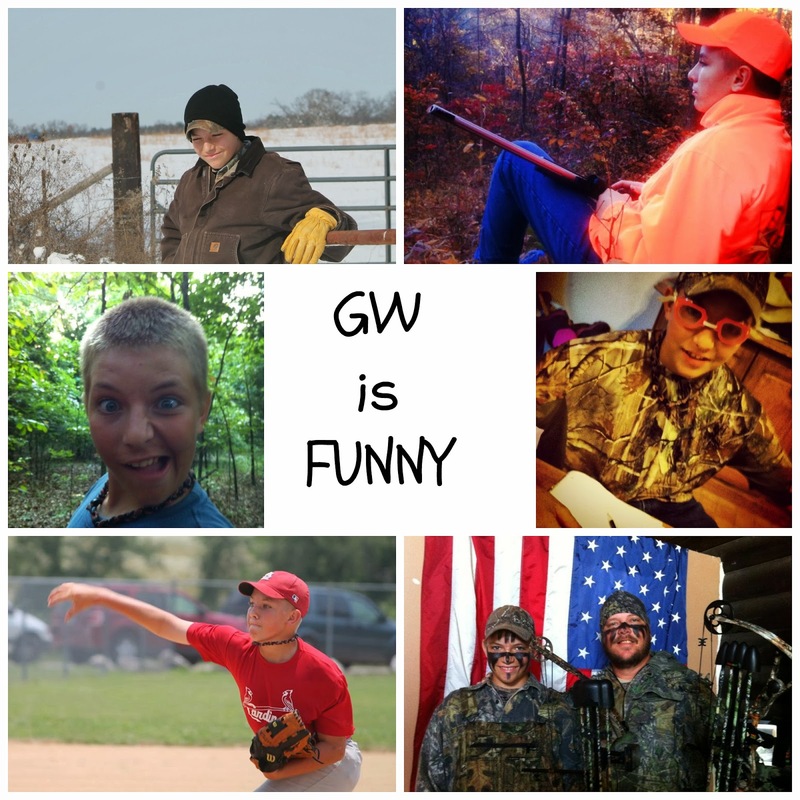 GW loves hunting, baseball, and anything outdoors. Together him and I experienced my first fishing trip from a boat, his first greased pig contest, and my first deer season. I am thinking he had more laughs about this than I did. 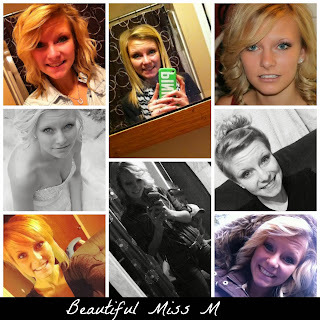 Miss M, or I often refer to her as Miss 16 also accompanied David into my life. Miss M has introduced me to the humor "snapchatting", prom dress shopping, and the life of teenage girl...all of which I am thankful to have had these experiences. In 2013, I have learned that even though life does not always turn out the way we plan, God does have a plan for us. We are looking forward to 2014, especially the four kids, as we plan to take on the "outdoors" side of travel and are planning many camping trips, fishing trips, maybe some hunting trips, hiking, and much more. We pray that your household has a blessed and happy holiday season and we will see you in 2014! Becky & and her Sidekicks!